The Boho Hobos: Happy 3rd Birthday, Baby Girl! It’s that time of year again! Today, we celebrate the third year of our beautiful daughter Cinderella (not her real name). Last year, we celebrated her birthday all the way across the country in Richmond, Virginia. Although we had just left our family and friends back in Colorado the week before, I still managed to throw her a birthday party together at the last second for the 4 of us. You can read about her special day last year, HERE. On today’s special occasion, however, we have Grandma down visiting with us! We are really lucky to be able to have her here with us today (and for nearly the past 2 weeks…you can read about her visit with us HERE and HERE). 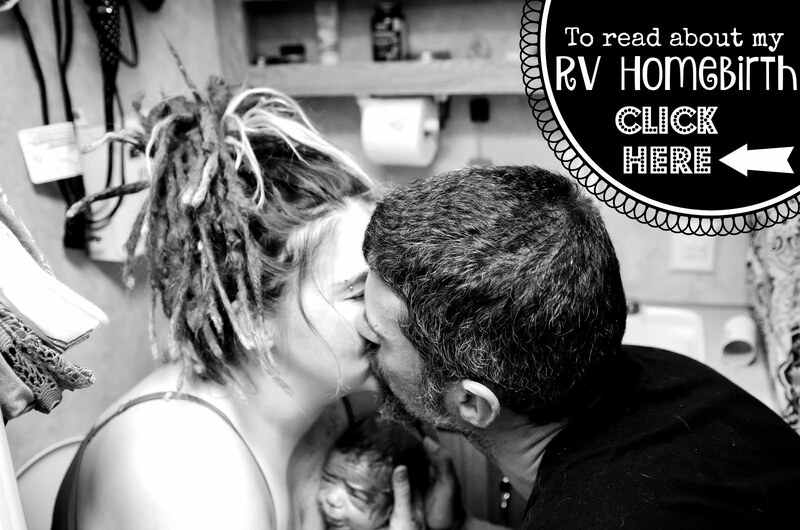 I was determined to throw my baby a fantastical party…despite living in an RV and being nomads. Today I had a TON of stuff to get handled before our celebration later this evening. It’s so cool that we’re celebrating another birthday in yet another state. (MHG’s 8th birthday we celebrated back in January, in Phoenix, Arizona. You can read about that HERE and her birth story HERE.) I got up at the crack of dawn to see Nic off to work and then I set to work myself. By 6:30 in the morning, I was already outside in our little “forest” by our RV attempting to turn it into a fairytale-ish setting. It has the most perfect circular clearing. Having my Mom here has been a complete blessing! She watched the girls for me while I decorated outside, lent me her van so I could run errands (since my truck is still outta commission due to transmission failure) and distracted Cinderella as I wrapped last second presents. Cinderella just snoozed away for the first 2 hours of the morning while I diligently strung up lights, hung the boho flag bunting/banner I sewed and wrapped trees in even more lights. The office staff were kind enough to lend me the 1 strand of lights I could find in their tool shed and reimbursed me for the 3 other sets I bought myself. I turned them in after the party was over. (These nomads have no use for so many lights.) Monster High Girl helped me blow up, string up and hang up balloons as well as tie pretty white taffeta bows for all the trees. I brought out my Moroccan lanterns and hung them in the tree as well. I set my solar powered mushroom light on the table with another lantern and a cute Happy Birthday LED candle from my Mom as a table centerpiece. The boho birthday bunting I sewed a few weeks prior. I even set the picnic table with my Grandparent’s vintage tablecloth that they always took camping to the river with their kids. It tied everything together nicely and made me feel like they were here with us in Spirit. After the sun set, the setting was exactly how I envisioned it to be. The pictures really don’t do it any justice. I finally got home in time to realize Nic actually beat me there! I was so relieved, because I needed his help unloading groceries, dragging the picnic table to the forest, and giving Cinderella her first gift as I finished decorating. It feels like just yesterday that I was bringing her into this world in the bathtub at our apartment!!! (You can read about our home water birth HERE.) My little water baby’s bond with her watery background has only grown stronger since then (she seriously refuses to swim with anyone…“don’t need you!”). Every birthday brings with it a pretty decent milestone. She finally began crawling on her hands and knees (no more Army crawl) exactly one week after she turned 1 (walking 3 mo later). Last year, she weaned herself from extended breastfeeding on her 2nd birthday. This year, her big milestone involved getting her very first bike! She has been asking for her own bike for months now! After doing much research, and talking to a few friends with toddlers of their own, I decided a Strider Balance Bike would be perfect for her! I wish I had captured the look on her face when we pulled out the box! She and her sister rode all over our yard as I put the last minute party items in place. There are no peddles on a balance bike. Its sole purpose is to get the child comfortable with balancing so they can transition straight to a traditional bicycle without training wheels. I know several children that have successfully done this using a balance bike. Many were younger than 2 years old by the time they were riding successfully on a two-wheeler sans training wheels! Here’s their website if you’d like to learn more: http://www.striderbikes.com/. It really is a brilliant concept! I love this little girl so much! I can’t believe I have had the honor of being her Mommy for 3 years now! Where has the time gone?! I’m so grateful for this li’l helper, too! She was a master bow-tier and even impressed herself when she gathered the strength to inflate balloons! She is incredible and never ceases to amaze me! Love this one to the Moon and back, too! After much hussle and bussle and last second present wrapping by my Mom and I…oh, and cake decorating…it was FINALLY time for the main attraction! P.S. That was the same Scooby Doo cake topper I had on MHG’s 3rd Birthday cake! Maybe my girls are more alike than I realize? Thanks Mom for taking these pics! It means the world to me!!! I love you! Oh…and thanks for letting me jack your whole outfit, lol! You’re the best! Okay. Now it’s time to get down to business! After cake and ice cream, it was finally time to open presents…and goof off a bit! Cinderella opened presents from all 3 of her Grandparents, ourselves and because Auntie Tiger had sent her a Target gift card a few days prior, I was able to get and wrap presents with that from them as well! Thank you everyone…from all of us (especially Cindy) to you! These pics were actually taken the day after, but I wanted to get them on here as well! We wanted to show you all what she got! From Nonnie and Papoo: A Howleen Monster High Doll…her fave ghoul! A squee of joy! Thank you! From Auntie Tiger, Uncle Jedi & cousin M&M’s: a Rainbow Dash coin purse, alphabet blocks and a texting slider phone (I didn’t forget how much you enjoy getting my kids loud obnoxious toys, lol!) ;-) She loves it, thank you! From Grandma: An assortment of stuff to include a gorgeous Chinese silk dress, a Rainforest frog plushie, 1st Dictionary, little hedgehog toy, Abby Cadabby sandwich holder, playing cards, and her favorite toy of all: a Green Toys (recycled plastic) DUMP TRASH! (My daughter is obsessed with trash trucks for some unknown reason.) There were a few other cute little odds and ends, but I’m writing this a month later and unfortunately can’t remember it all now…I’m sorry Mom. You were here though to know how much she loved everything! From us: A new Scooby Doo characters set, the Strider bike, a Melissa & Doug birthday cake, Green Toys tea party set, the Land Before Time DVD and an assortment of Haba wooden play foods….essentially, way too much stuff for a kid living in an RV, lol! As the evening drew to a close, we had a few more minutes of cuddles, play & laughter. She absolutely LOVED every last thing that she got and we could tell that her whole birth DAY had been a success…ya know, cuz that dear sweet child passed out in my arms for the first time in months! What an amazing day we all had! A huge THANK YOU to my Mom, Nic and MHG for all of your help! Without the 3 of you, I never would’ve been able to get it all done by myself! I love you all! It’s nice to know that despite being away from our home state, and despite living in an RV, I can still give my daughter a special birthday party…decorations and all! Thank you for helping me make her day unforgettable!